A few years ago I went to a Whole Foods store in New York. This week I visited the London Whole Foods Market, situated on the old Barkers site in Kensington High Street. Rather like a trip to French street markets, the first thing that comes to mind is ‘Why don’t more shops make food look this good?’ – Whole Foods is a visual treat. Piles of delicious looking apples, grapes, dates; bowls of sun dried tomatoes, olives, mozzarella cheese; a cheese counter that might more accurately be described as a cheese hall; and piles of freshly baked bread, cunningly positioned so you catch the warm aroma as soon as you enter the store. 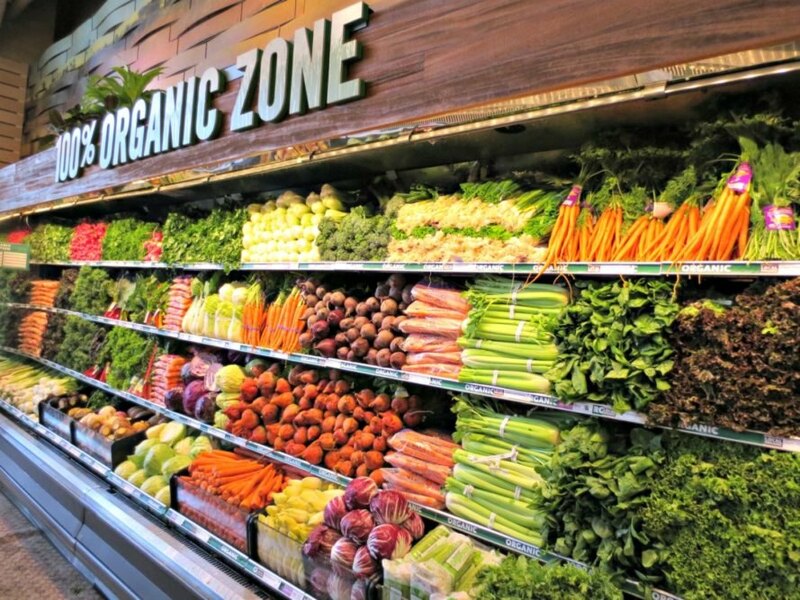 After looking more closely at the American store it seemed that Whole Foods was brilliant at attracting upmarket customers wanting good quality produce but I wasn’t convinced its environmental philosophy was equally top notch. For a start I discovered bottled water that had been imported thousands of miles from Fiji – and in glass bottles too. That might look appealing but the carbon footprint would be pretty ugly. I get the feeling that the London store has tried a bit harder. Their plastic bags were made from 100% recycled plastic and the philosophy on their website shows commitment. But I’m not convinced that they’ve really got their head around sustainability issues. If something is natural, it isn’t necessarily better environmentally – so offering wooden disposable cutlery may not actually be better than plastic. Equally, encouraging people to buy ‘green’ detergents without offering advice about lowering the temperature of your wash isn’t going to do much for the planet. I was there buying food for a supper in their upstairs eating area, so I didn’t have time to find out more. Most of what we ate tasted as good as it looked – the multigrain bread was superb. But the exception was the North Sea prawns, which were utterly tasteless. My conclusion is that this is an up-market store for up-market customers but there’s room for improvement on the green front…. This entry was posted in BLOG, Done, Food & drink, News 2007, Packaging, Plastics, Supermarkets & Retailers and tagged Cities, Food, Supermarkets, Water.